A few weeks ago I shared a post on my Facebook page that was crazy popular. When I shared it I had no idea it would be that popular, but looking back I should not have been so surprised that people shared it. The entire point of the post was about how cursive handwriting should actually be taught first instead of print. The article had a lot of valid points and it definitely got a lot of people talking about this topic. 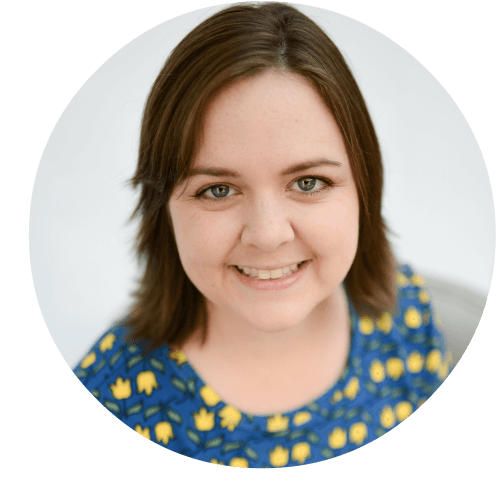 I decided to take some time and research this to see what other researchers and professionals thought about teaching cursive first and share that with you today. So if you are wondering whether to teach print or cursive handwriting first, here is what you need to know. There have been many articles circulating about the benefits of cursive handwriting. Since the adoption of Common Core a Standards by many states in the United States, most schools have taken cursive handwriting out of their teaching because it is not included in the new standards. There are many areas of the world that teach cursive handwriting first. In fact, many of my overseas readers commented on Facebook that European countries still teach cursive first instead of print. Dr. Maria Montessori also believed in teaching cursive handwriting first and many Montessori schools do so to this day. 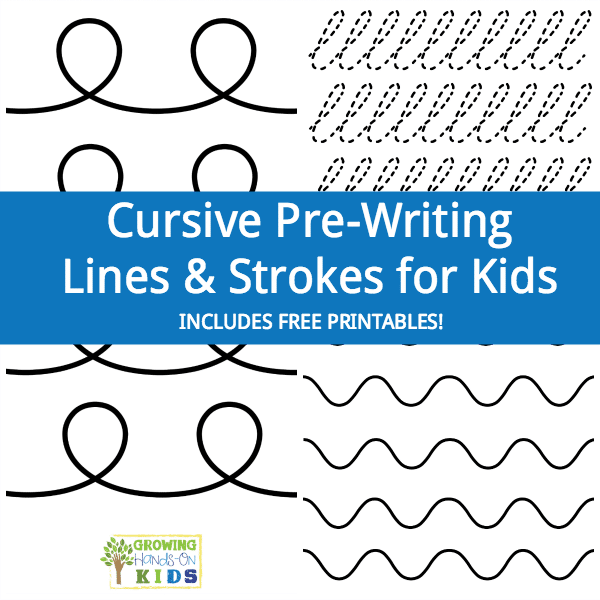 Ease of teaching cursive – There are 3 main strokes – under curve, over curve and up and down. Print has at least 6 including various shapes and perfect circles i.e. pre-writing lines. Prevents reversals and confusion of letters – “b” and “d” are the most common reversals in print. Enforces skills and patterns for reading and writing – in cursive, all lower case letters start at the bottom, as opposed to print which starts at various points depending on the letter. Prevents too much space between letters and words – The flow of cursive handwriting is from left to right which encourages spatial discipline. In print, children often have letters too close together or words spaced too far apart. 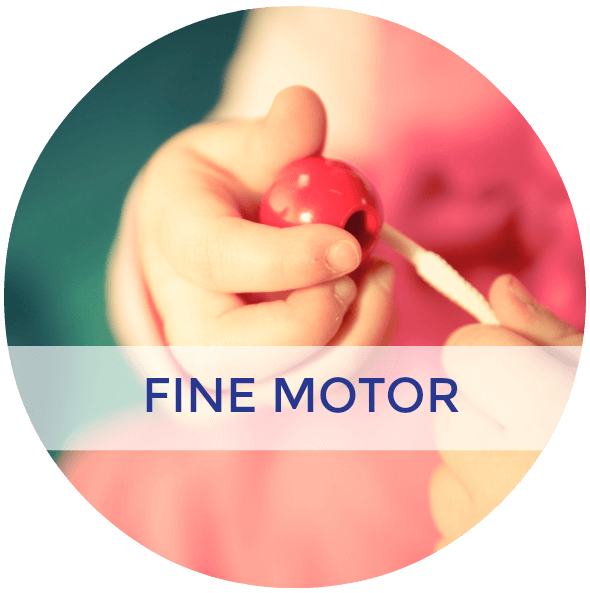 Helps left-handed children – This one really surprised me, but makes sense. With print, the left-handed child will write printing from left to right but will cover what he has written with his arms. This is called the hook position. In cursive writing, the left-handed child learns to write from the bottom up and turns the paper clockwise which increases comfort and legibility. Print (manuscript) handwriting is what most schools and preschools in the US start with for letter formation and recognition. 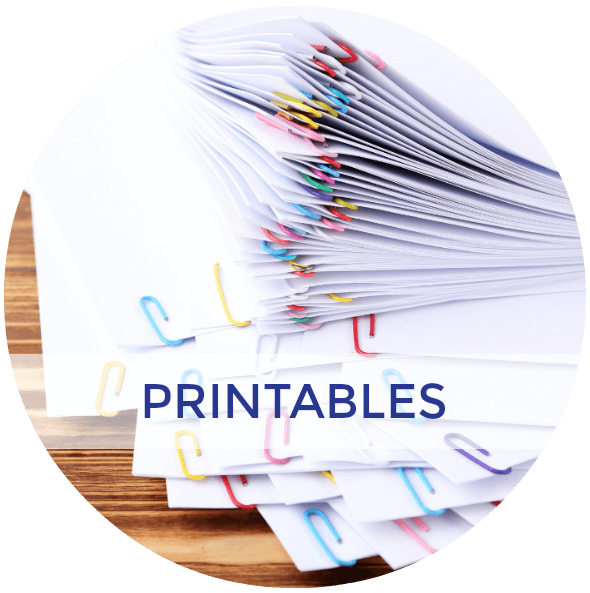 There are some basic prewriting lines that are important for preschoolers to know BEFORE they attempt to print letters. Ideally, a child should not be learning to print a letter of the alphabet until these pre-writing lines are mastered. However, most children entering Kindergarten (age 5) are already expected to know how to write their names and also form most letters of the alphabet. Developmentally, this is not always appropriate. Print or manuscript handwriting involves hand-eye coordination as well, however, each letter starts at a new point and a student needs to be able to pick up the pencil and place it at the appropriate starting point of each letter in order to produce legible work that is also spelled correctly. Letter reversals are also common in print or manuscript handwriting, particularly with “d” and “b”, “p” and q”, “t” and “f” etc. 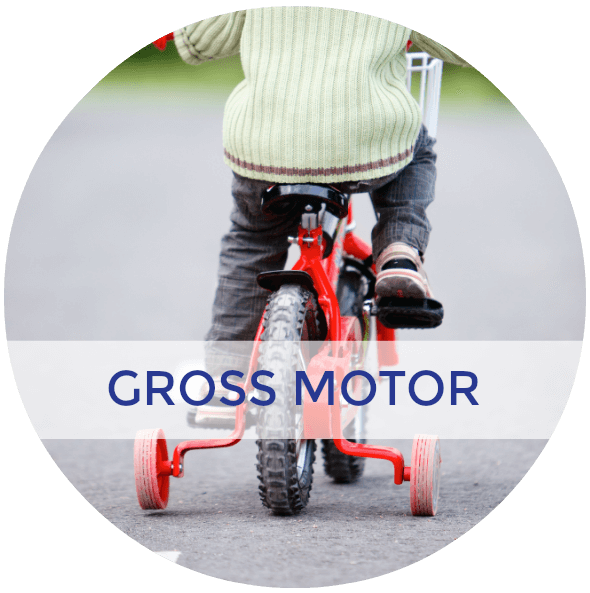 This is often due to under-developed visual motor skills and visual discrimination. Capital letters are usually easier for a child to learn first since they do not involve as many circle shapes as lower case and also the starting points are typically at the top of the line. 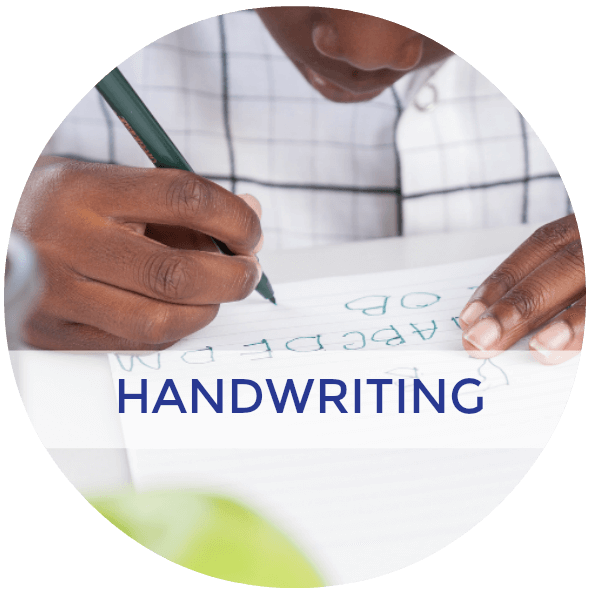 Many handwriting programs, such as Handwriting Without Tears® (HWT) use the capital letter first approach when teaching handwriting. 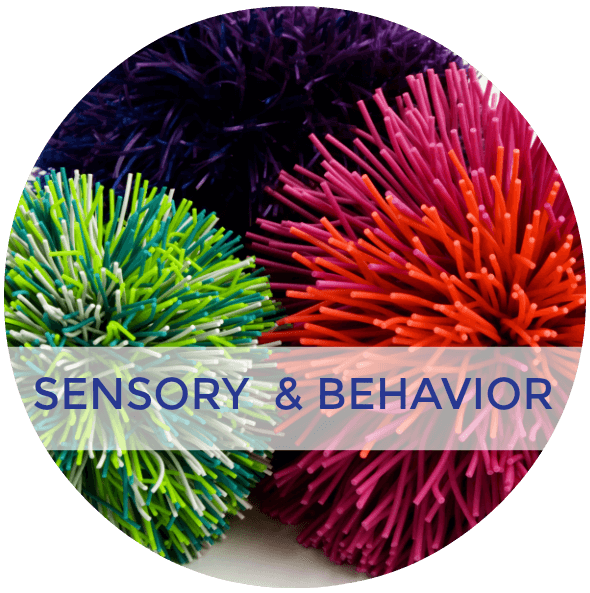 Occupational Therapists and often dubbed as the “handwriting therapists” because so many of the students we see in a school setting have handwriting concerns. 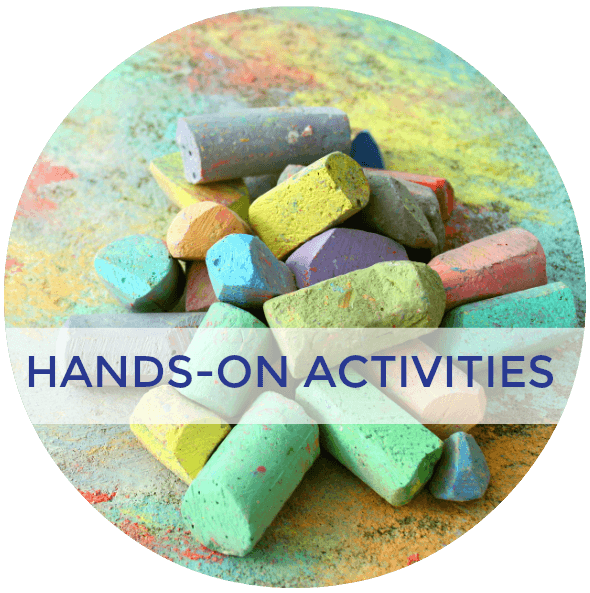 An OTs job is to look at any underlying reasons as to why the child may be struggling with handwriting such as weak core and shoulder strength, un-integrated reflexes from birth, weak fine motor skills, weak visual motor skills, bilateral coordination, and crossing midline skills. These things are also just as important for children learning to use cursive handwriting. Learning the pre-writing lines is a huge key to handwriting success, which is why I wrote my Basic Shapes for Beginners – A Hands-On Approach to Prewriting Strokes for Kids book. The Case for Cursive Handwriting? Most U.S. schools do not introduce cursive handwriting until 2nd or 3rd grade (sometimes even 4th grade). I know one of the schools I worked at didn't even formally teach it, they just gave a home/summer packet on it between 3rd and 4th grade. As you can see from the information above, introducing cursive handwriting earlier than these grades can be hugely beneficial. 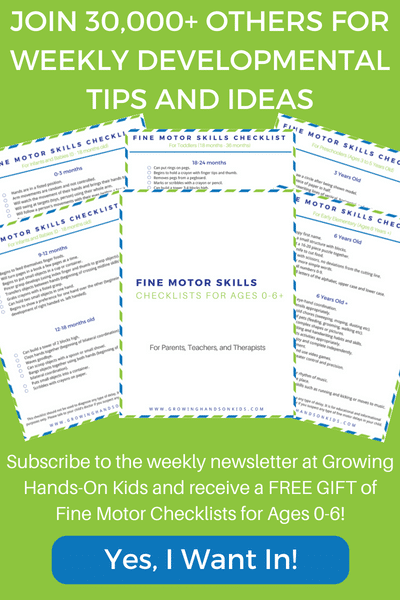 Especially if you have a child who is struggling with print handwriting including letter reversals, letter formations, a left-handed writer, or a child who struggles with delays or has a special need of some kind. I would encourage you to try cursive handwriting with them and see if they can pick it up faster and easier than print. There is not a lot of evidenced-based research articles on the benefits of cursive handwriting or cursive vs. print handwriting. I did some searches and came up with some interesting titles, but nothing that truly answered the question of whether cursive or print was actually easier or better to start with. Here are the titles I found, however, in case you want to research some more. 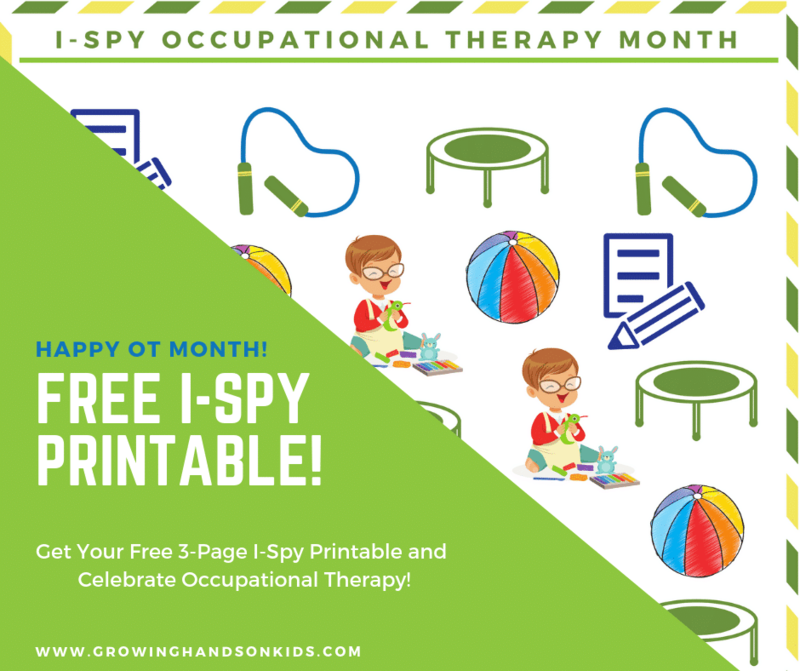 All of these come from the American Journal of Occupational Therapy (AJOT) and come with free PDFs at the links below. Susan M. Koziatek, Nancy J. Powell; A Validity Study of the Evaluation Tool of Children’s Handwriting–Cursive. Am J Occup Ther2002;56(4):446-453. doi: 10.5014/ajot.56.4.446. Susan M. Koziatek, Nancy J. Powell; Pencil Grips, Legibility, and Speed of Fourth-Graders’ Writing in Cursive. Am J Occup Ther2003;57(3):284-288. doi: 10.5014/ajot.57.3.284. Sharon Duff, Traci-Anne Goyen; Reliability and Validity of the Evaluation Tool of Children’s Handwriting–Cursive (ETCH–C) Using the General Scoring Criteria. Am J Occup Ther 2010;64(1):37-46. doi: 10.5014/ajot.64.1.37. Gwenyth I. Roberts, Jodi E. Siever, Judith A. Mair; Effects of a Kinesthetic Cursive Handwriting Intervention for Grade 4–6 Students.Am J Occup Ther 2010;64(5):745-755. doi: 10.5014/ajot.2010.08128. What am I doing as a parent and therapist? My daughter is 6 and has learned to write her name in print and also knows how to write most of her alphabet in print. We have started introducing some cursive pre-writing lines with her, but she has struggled some with those. I plan on introducing it slowly as we continue our homeschooling and as she shows an interest, which she has lately. 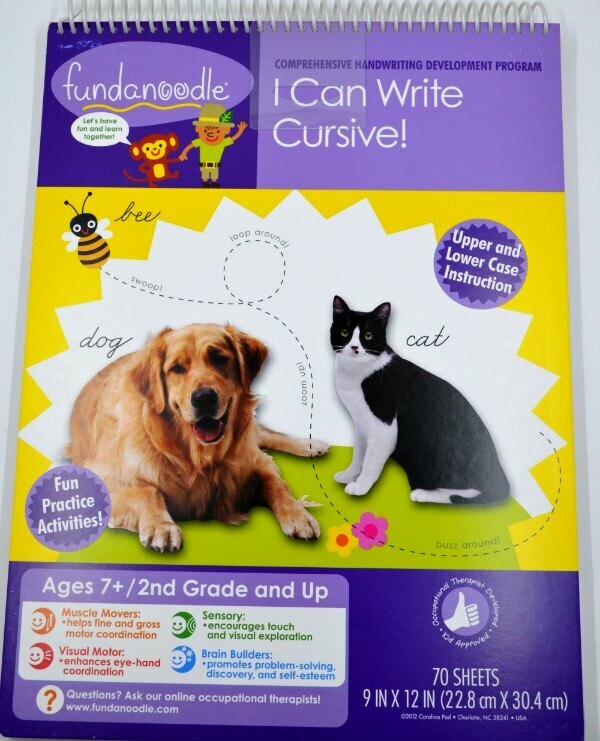 There are some great resources out there for teaching cursive handwriting and one of them is from Fundanoodle, which is an early learning company who I happen to love. 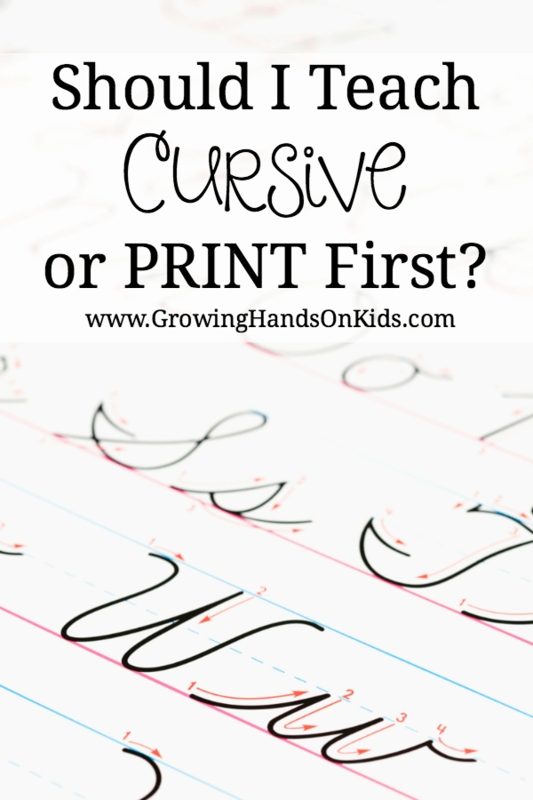 I'd love to hear what you think, do you plan on teaching print or cursive handwriting first? For more handwriting help, check out my How to Improve Handwriting Skills resource page here.